If you have a webpage or blog, we'd like to ask for your help to spread the word. Please put a link or banner-link to Albion on your webpage. If you have an old link (to http://albionarmorers.com ), please update the link to http://albion-swords.com. If you would like to have a reciprocal link, send us an email at quest@albion-swords.com. It is with the deepest regret that we announce the passing of legendary swordmaker, Jody Samson, on Saturday, December 27, in his shop in New Glarus, Wisconsin. Jody was a true friend, a multi-talented artist, and one of the most generous people you could ever meet. He will be deeply missed. From all of us here at Albion! And, since its that time of year again - for anyone who hasn't read co-founder Howy's Christmas Story, here it is once again. We are considering making a second edition of this sword due to its popularity, but there will be marked differences in any future editions. MyArmoury has published reviews of the Chieftain and the Gallowglass. 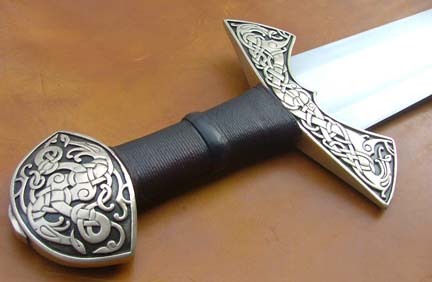 See more MyArmoury reviews of Albion swords here. 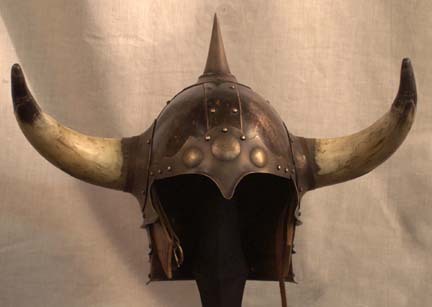 Lars has just completed a new helm commission - an amazing Bronze Barbarian Helm. Joe Waites just finished a sweet new knife, differentially heat-treated with a visible hamon. Eric Meulemans has completed a beautiful Kindjal. 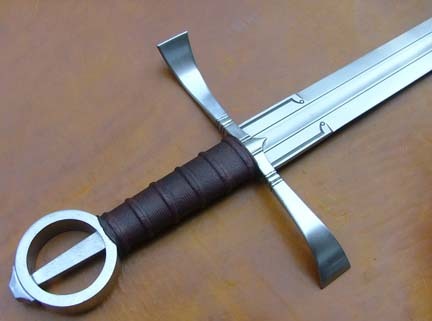 The swords and daggers designed by Peter Johnsson and made by Albion for the Swedish epic film Arn The Knight Templar are now being offered through Albion Europe and Filmswords.com. 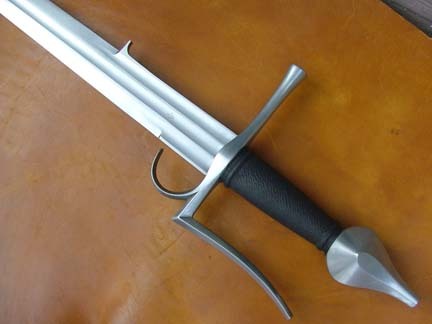 We have just completed the prototype of the Oakeshott Medieval Sword. 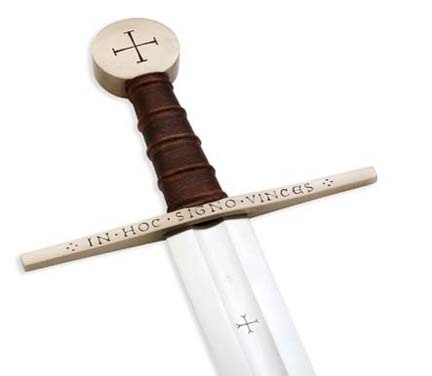 We just received word that one of our sword models, Discerner - The Lindsay Sword, will be appearing on the new book cover for Arthur by Steve R. Lawhead. Design and illustration by Gene Mollica. 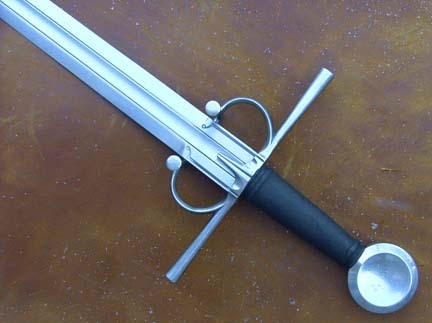 The prototype for the Burgundian Sword has been completed. 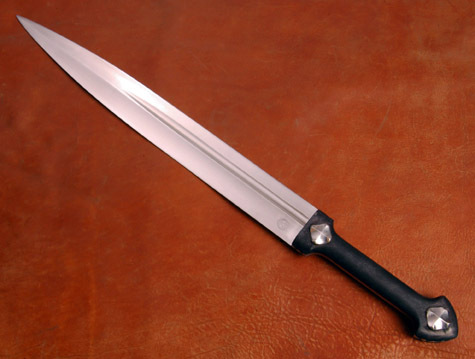 The prototype for the Machiavelli Sword has been completed. 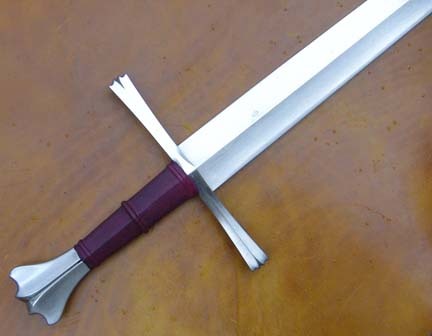 MyArmoury.com has posted new reviews for the Next Generation Munich, Earl and Kingmaker swords! 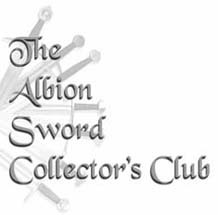 Other MyArmoury reviews of Albion swords can be found here. 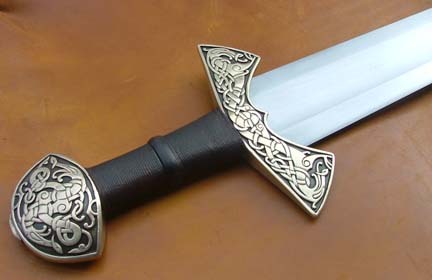 Eric McHugh is now offering a Standard Bearded Axe. Visit his in-house page for details. 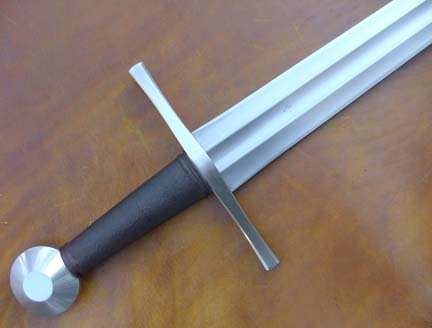 The prototype of the Knud Viking Sword has been completed! 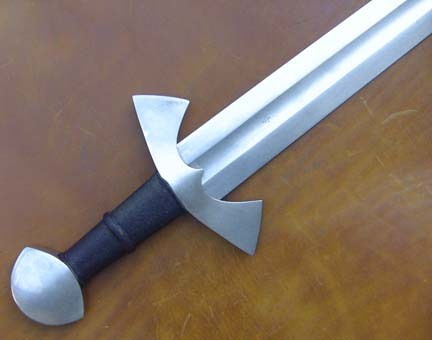 The prototype of the Doge Venetian Sword has been completed. The prototype of the Valkyrja Viking sword has been completed. In the coming months, this is where you will be able to find more information about the ARN swords Albion made for the film. A new trailer for the film can be seen here. Albion will be featured on an episode of "How Its Made" on the Discovery/Science Channel, Friday, November 2nd at 9pm EST. (How It's Made Season 4, Episode 8: Swords, Pontoons, Grandfather Clocks, Fuses) If you miss that airing, it will be replayed Nov 03, 12:00 am EST, and you can always check the program listings for future airdates. Congratulations to Søren and Albion Europe for a wildly successful first year of operations! Søren has been fantastic to work with - for both his customers and ourselves - and his efforts in making Albion orders easier for European customers have been amazing. His success has far exceeded any expectations, due to his hard work and dedication. Our deepest thanks and congratulations, Søren! Post on RTB Digg today and get noticed! This is a great spot for you to upload cutting or fight demo videos. Another newly launched area on the RTB site where groups can register for a chance to win Ultimate Training Packages, while at the same time providing exposure for groups when new potential members go to seek out a group in their area. Peter is visiting again from Sweden and has finalized the waxes for the Valkryja. We have finished the prototype of the Kern Irish Type XIX. Peter will be bringing the waxes with him in late September.